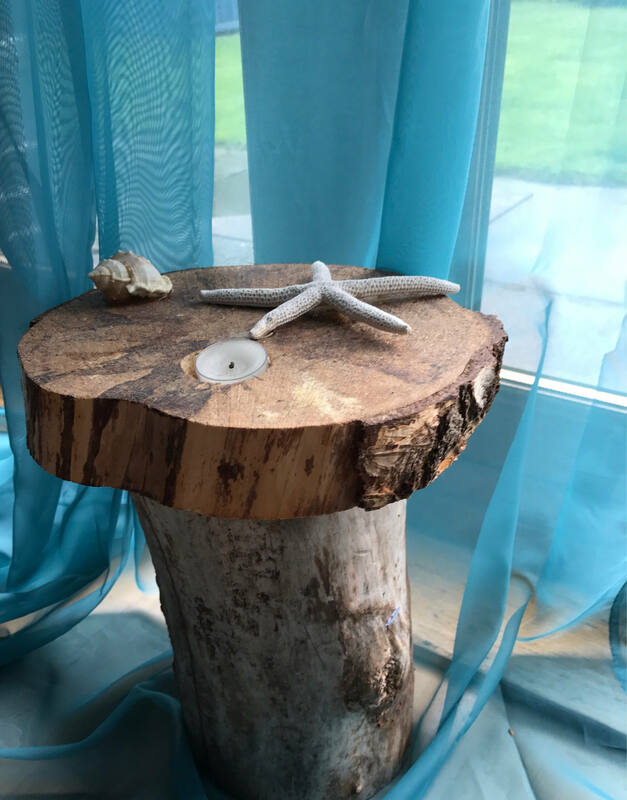 Reclaimed Scottish Wood Candle holder - Coastal rustic tree stump design. 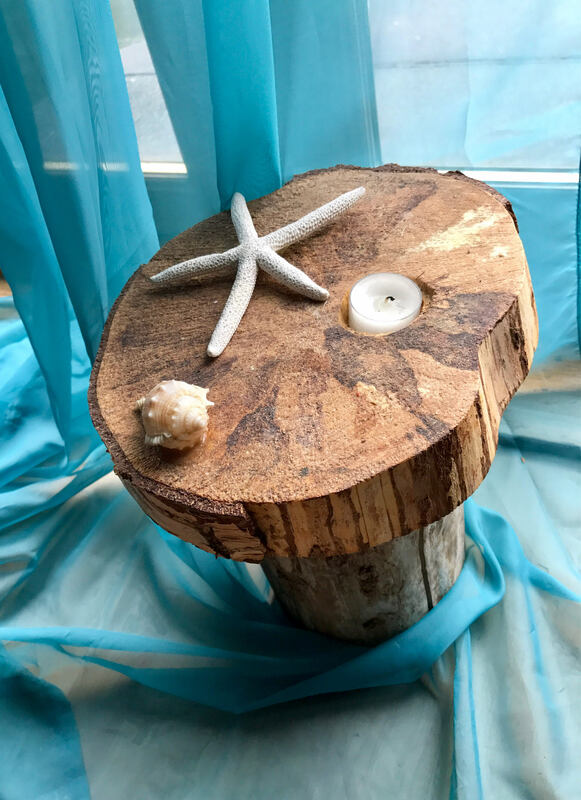 This wooden handcrafted rustic Tea light candle holder made from upcycled beech found in farmland in central Scotland, it is carefully Hand sanded and then treated with Danish oil. 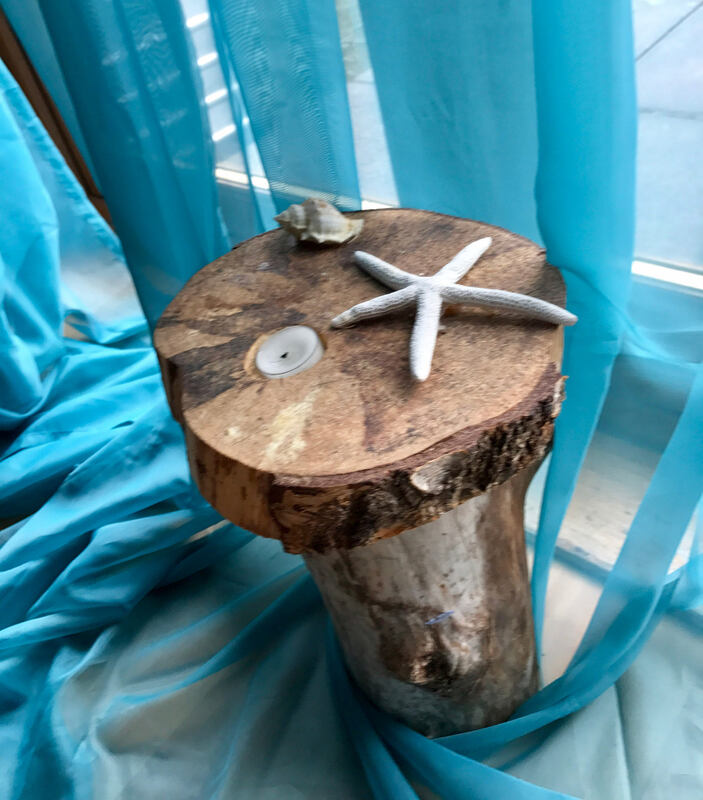 Nautical themed embellishments - shell and starfish with an anchor is added along with coral sand brought back from the beach in Skye. A perfect gift for mother's day, housewarming, wedding or birthday . This gift is approximately 12 inches wide and 18 inches height. 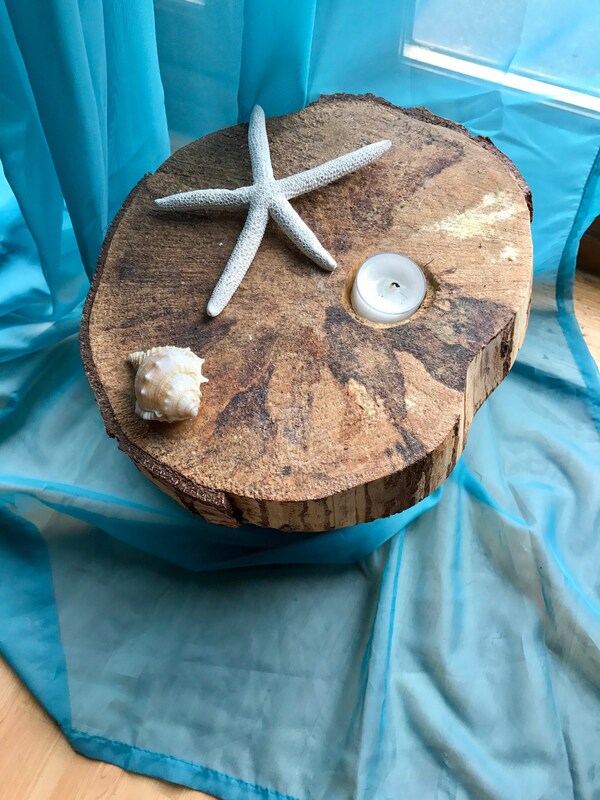 This is a unique gift due to the nature of the wood, and there will never be two similar. Perfect for a unique couple, mum, or special,person. It could also be used outside as it has been treated appropriately with oil but would require re-treating every 2-3 years. It comes carefully packaged and ready to use.